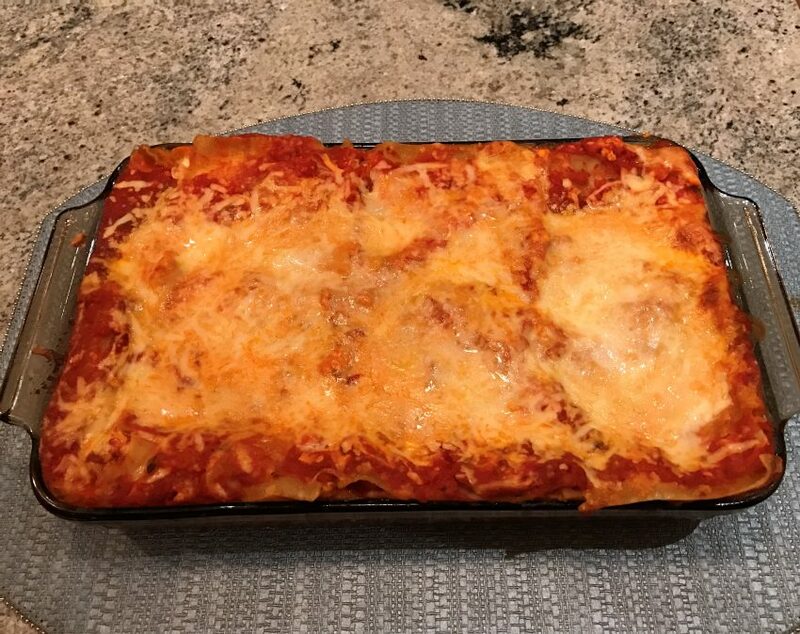 Who doesn’t love a little lasagna on a chilly night?! 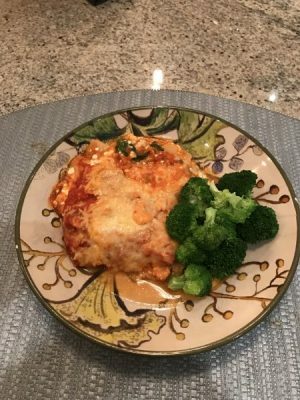 This recipe is a healthy alternative to the traditional fare and still tastes yummy. Plus you can freeze the leftovers and keep it on hand when you are rocking your day pressed for time. Best served with a mixed greens salad or some steamed broccoli. Bring 6 quarts of lightly salted water to a boil, add the noodles, and cook until they are al dente, soft but still firm. Drain in a colander, toss with 1 tablespoon of olive oil, and lay flat to cool on a cookie sheet to prevent sticking. Heat a large nonstick skillet over medium heat and add the ground turkey, onion, and garlic and cook about 10 minutes, until the turkey is browned. Mix in the marinara sauce until it is well combined with the turkey. 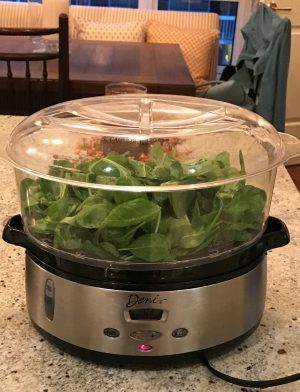 Steam the spinach for about 3 minutes, or until wilted. Spoon a thin layer of the sauce into an ungreased 10 x 8 x 2-inch baking dish and arrange a single layer of noodles (about three; cut to fit if necessary) on top, slightly overlapping. Spread about one-third of the turkey sauce over the noodles. Cover the turkey with the basil leaves and all of the spinach. Cover the spinach with half of the cottage cheese. Sprinkle one-third of the mozzarella on top. Continue layering with three more lasagna noodles, one-third of the turkey sauce, the remaining cottage cheese, and one-third of the mozzarella. Finish with the last layer of noodles, the remaining turkey sauce, and the remaining mozzarella cheese. Sprinkle the grated Parmesan on top. Cover with foil and bake for 30 to 40 minutes, or until bubbling. Remove the foil and bake for 5 minutes more, or until the cheese is golden. Note: If you want to share a taste with your sous-chef (a.k.a. 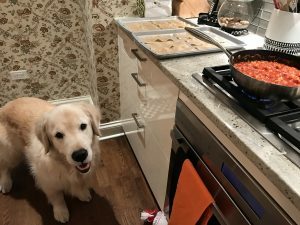 your doggy), sauté a portion of plain ground turkey in a splash of olive oil and serve with some steamed spinach (filled with vitamins and healthy fiber).